I totally forgot to add in this video with my post yesterday about buying a new toaster. My friend showed me this when I mentioned my toaster wasn't working properly. I think I may have seen it years ago, but it is hilarious. In other news, I burnt my toast this morning. Seems the new toaster and I have some work to do on our relationship. Or perhaps an exorcism. On with the regularly scheduled post! 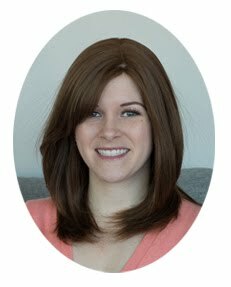 While I was in Target on Tuesday, I decided to capture some of things I loved so that I could share them with everyone who was disappointed in their local Target here in Toronto (I went to the Victoria Park location). But I think maybe they have stocked up a bit for the University crowd dorm rooms supplies, because they had a lot of cute and cheap decor. 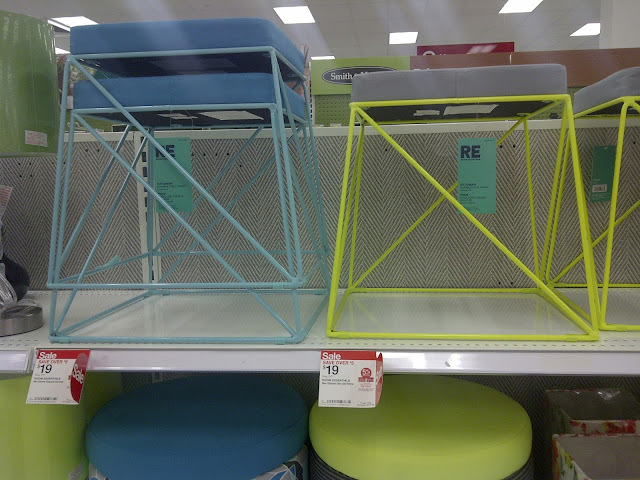 I loved the neon and green footrest (side table?). Neons seemed to be everywhere! 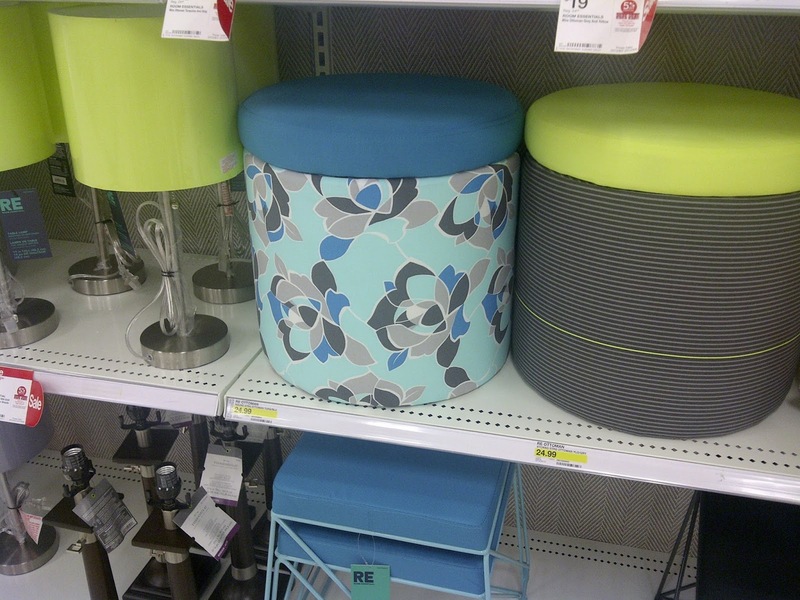 I had a bit of a crush on this patterned circular storage ottoman! The neon/grey one was cute too, but I think I am a pattern girl at heart! 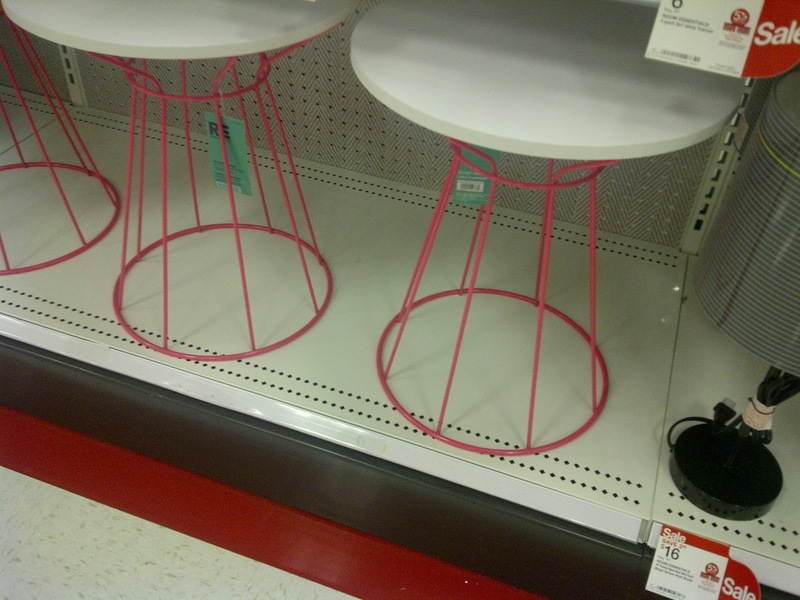 I liked the hot pink wire bases of these side tables. I wish one would have fit on the balcony, but the top was a bit too big! Aren't these birdie jewellery holders super cute? 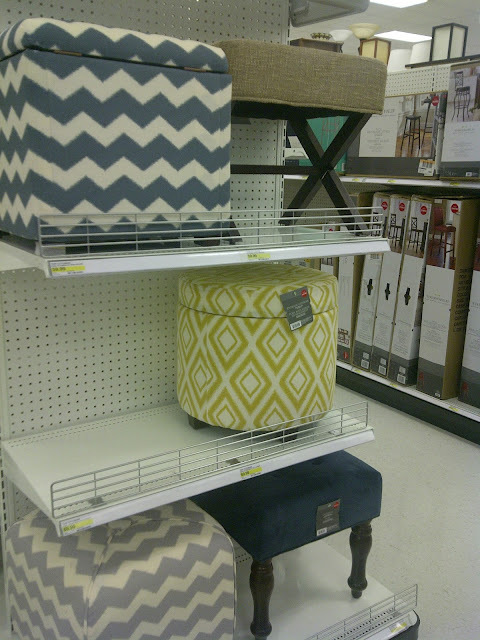 Gold seams to be making a comeback and these would look pretty sweet in a dressing room! 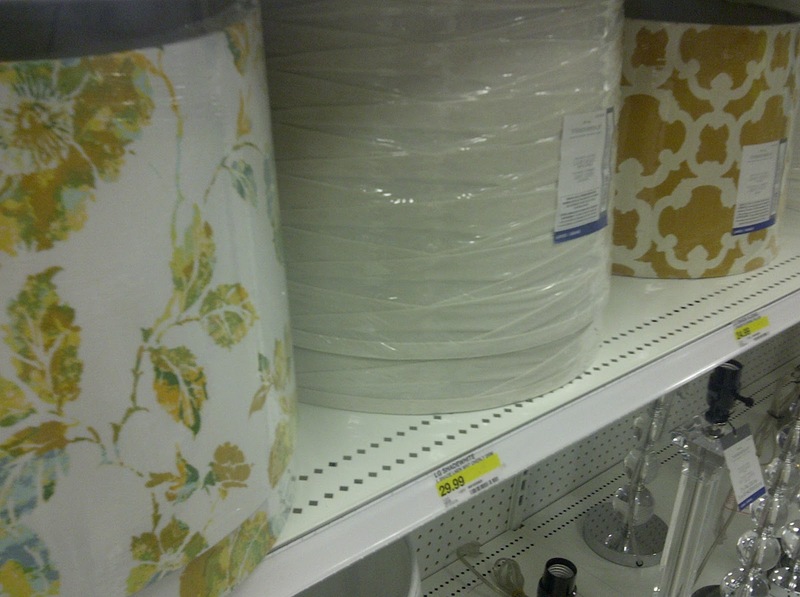 I loved all three of these lampshades, but I think the one on the left is my favourite. It was a lovely fabric that I also saw on a couple other accessories. 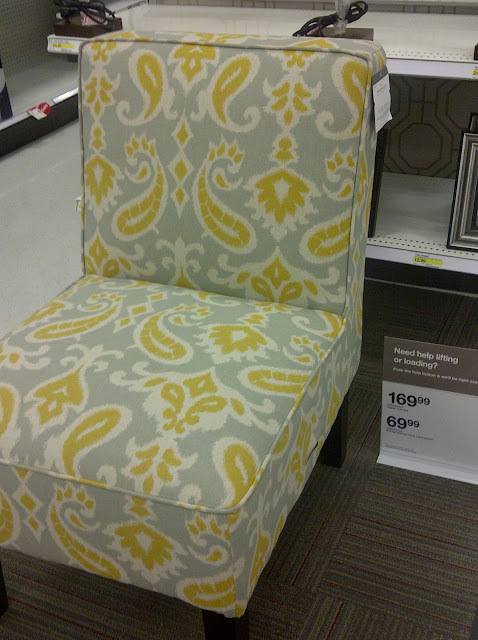 I don't really see the point in a slipper chair, since I like to curl up when sitting on an upholstered chair, but I liked the fabric! And the price! 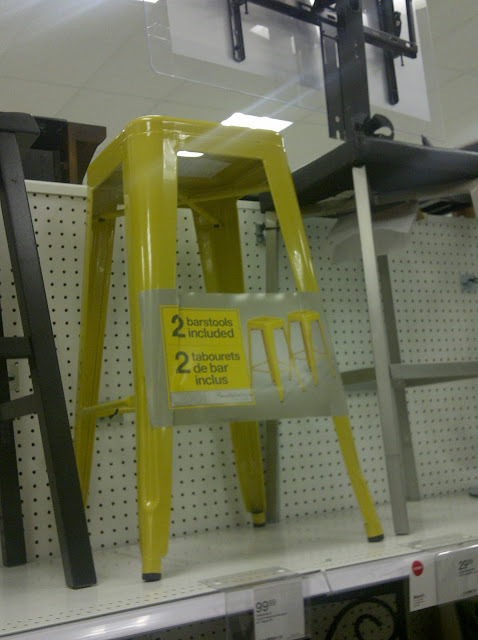 Hmm, I seemed to be finding a lot of yellow things to drool over, like these yellow, industrial stools! 2 stools were included in that $99 price tag, which I thought was a great deal. No need for stools in my place, however! This place was like heaven for ottomans. There was a whole aisle of cute ones besides these few. 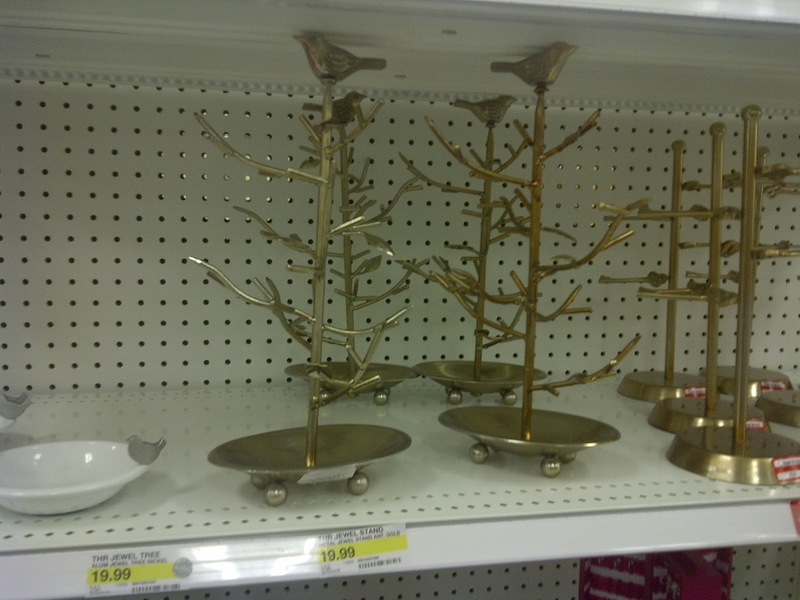 I wonder if they has just restocked, because I imagine these would go like hotcakes. 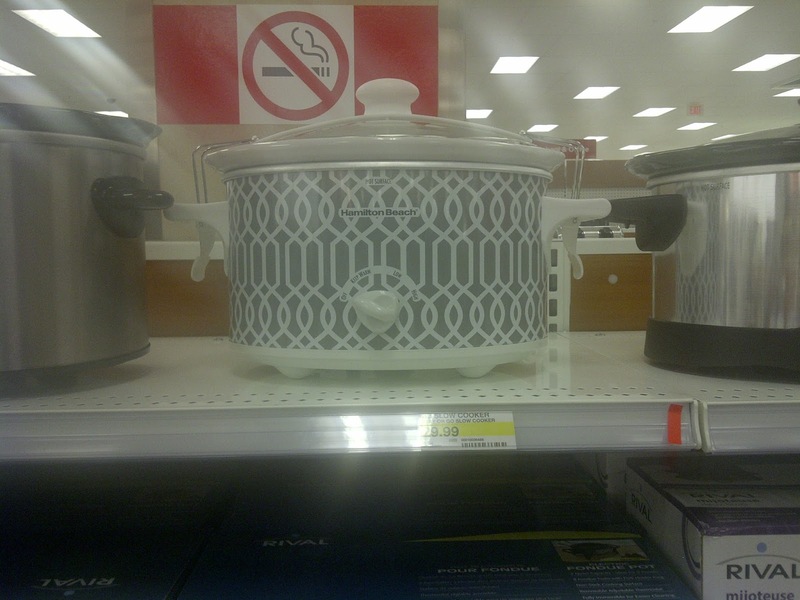 What are the chances they would have TWO cute slow cookers for decent prices (but no fun toasters!)? I can't remember what the blue one was priced as (it was in the wrong spot), but that Trellis one was only $30? I have no where to store such an appliance, but I WANT one. Lastly, I just thought these were a nifty idea- cup holder stakes for a garden! I wonder if they would actually stay up, though. Anyways, that was my first trip to Target in Canada, and as you can see I still managed to find a bunch of cute things despite a few empty shelves and I will definitely go back again. I just wish they would build one closer to my condo because it was quite a trek out to Victoria Park! Can't believe how empty that first shelf is! 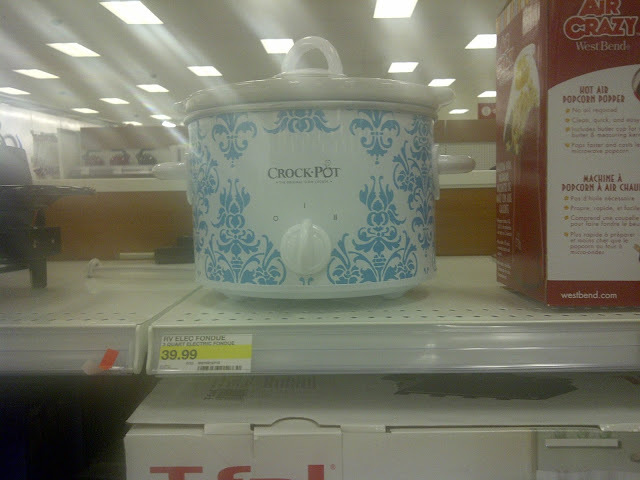 Target Canada needs to step up their game! I saw those wire stools in my Target last weekend and adored them. I can't remember from your earlier post- but is this a new store? 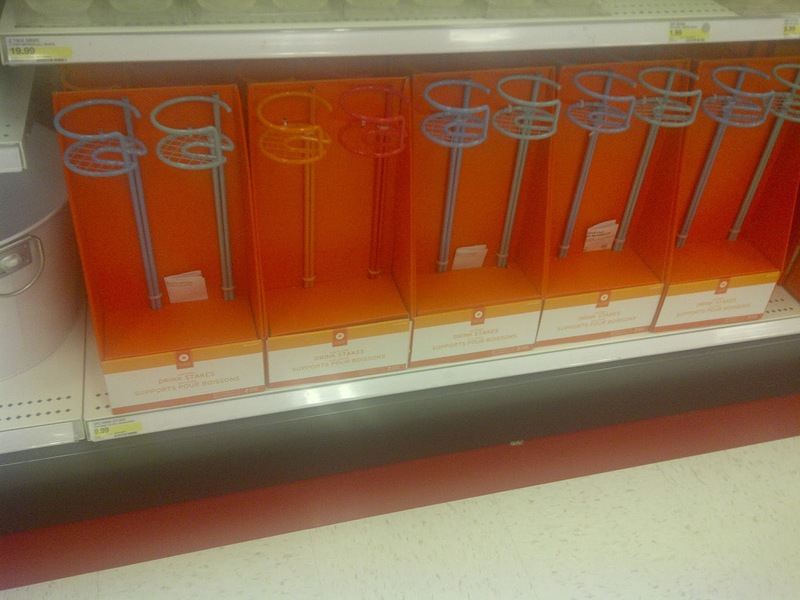 I remember when Target came to Hawaii (maybe a year or two ago) and the shelves were empty- mostly because people are so excited to have a new store they buy more (my opinion). 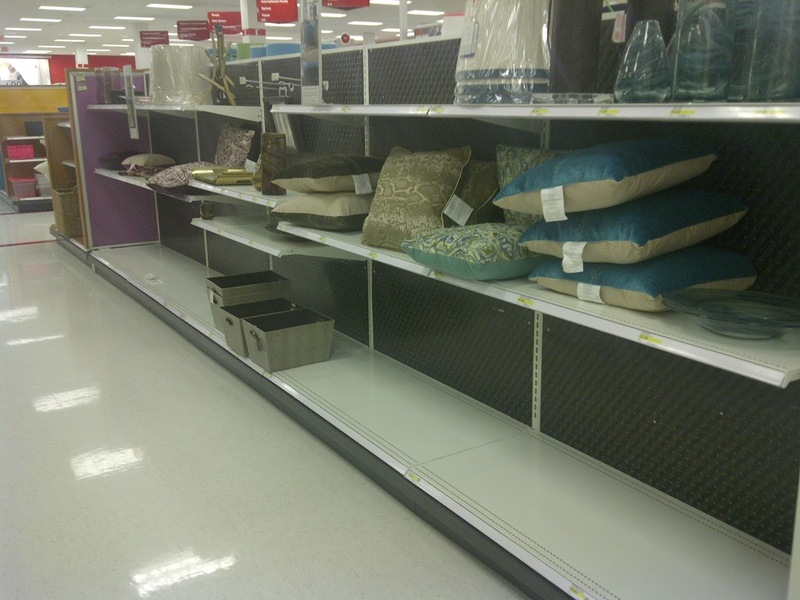 And they don't get shipments in that fast and/or can't stock the shelves fast enough. Anyway- I now have the strangest craving for a Target stroll- I love those lamp shades!